In Dublin, there’s no space for cycling beside a 6-lane dual carriageway! South Dublin County Council — a council with a poor history for cycling provision — is trying to keep the title for most use of shared paths which mix cycling and walking. Its latest project between Palmerstown and Chapelizod seems to have no public consultation. We’re not even talking about an amazing extra amount of width or work to install a footpath and a separate two-way cycle path along side it, the plan already allows for a shared path of at least 4.5 meters wide on sections marked orange and green on our map above. There’s clearly available space to be taken away from grass margin, and, on the slip junction, there’s also more space to be reconfigured, the following two images are from the current project’s drawings. Both are crops from the same image and both are unscaled. Even with the planned gray area taken away from the carriageway, there’s more space yet to be taken away and still leave the slip wider than the traffic lanes on the dual carriageway. The horrendous N4 / M50 crossing for cycling already makes this route poor for cycling, but most of that can be partly blamed on the National Roads Authority. But inside the M50, and at the location of the new project, the N4 and its slip roads have now long being detrunked, so blaming the NRA won’t work on this one. 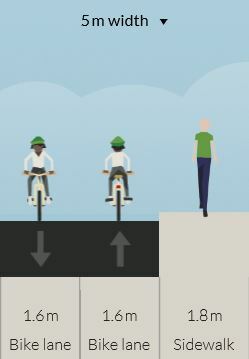 When so many people are against shared use paths — from the National Council of the Blind, many average pedestrians, a large bulk of people who cycle, and a notable amount of TDs and councillors — why is shared use yet again the default option? We need to demand space for cycling and that has to be generally separate from footpaths which should be kept the sole reserve of pedestrians. Who the heck is in charge of designing these things? Don’t they have to go to some courses. It sure doesn’t look like it. And amazingly in the Netherlands there would be ample cycling facilities provided with the same amount of space. 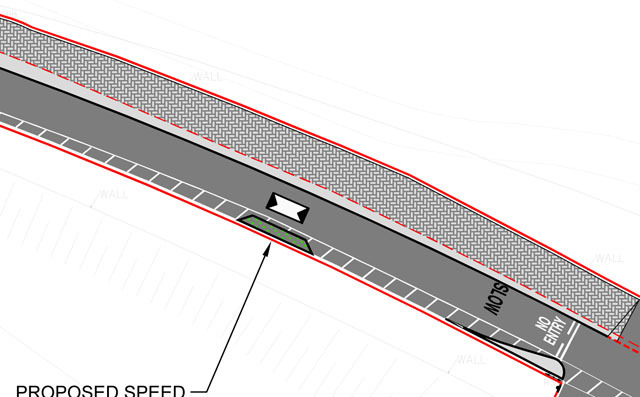 WTF are the Irish road designers up to in their cubicles? Looking at videos on ‘how to build interstate highways’ from 1950’s USA?